Google Rich Snippets is a type of code that sits on your site and allows Google to read special content marked on your website. 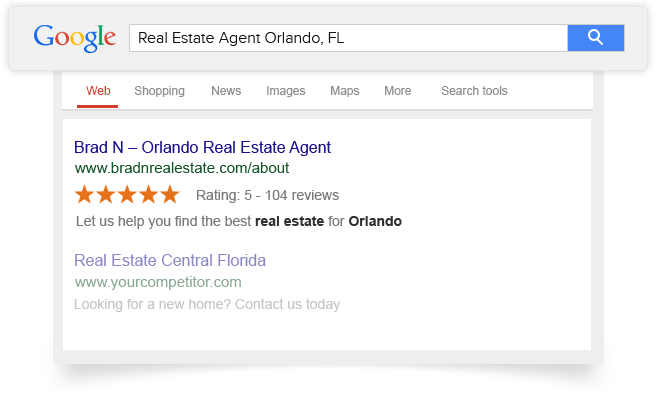 In this case, TrustSpot focuses on offering Rich Snippets with our reviews. This means when prospective customer search for your business in Google, your website will display with gold stars in Google organic search results. Notice how the gold stars and # of reviews display underneath the URL for your company website? This is what TrustSpot can do for your website. Notice how the gold stars and # of reviews display underneath the product URL for your eCommerce store? This is what TrustSpot can do for your website as well. The good thing about TrustSpot is that adding rich snippets to your website is 100% automated. All you need to do is add TrustSpot to your site, and we will take it from there. To add Company Review Rich Snippets to your website, you'll first need to collect a few reviews with us, and than place a reviews graphic on your website. Similarly with Product Review Rich Snippets, you'll first need to add our eCommerce plugin and configure the settings. 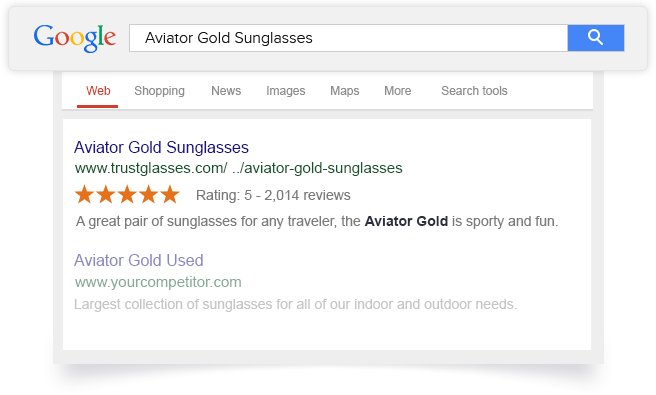 It will take Google a little bit of time to "see" the rich snippets added to your site, and than display the gold stars in Google. For more information, please check out our in-depth rich snippets support article. Kelly is the Director of Success at TrustSpot. Outside of work, you can find Kelly at the movies or playing tennis with her friends.